It doesn’t look like the hype around 4K TVs will settle any time soon. While it is justified to a fair extent, 4K technology is largely held back, mainly due to the lack of content currently available. 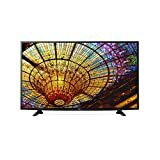 However, certain TV models like the LG 49UF6400 definitely justify the hype, at a price though as these TV models aren’t a bargain. Though the picture quality still is impressive, large gen models are definitely surpassed by the sheer brilliance in sharpness and the amount of detail featured in the new models. The precision, amount of detail and clarity are bundled together to deliver unparalleled experience. It is truly remarkable how easily the LG 49UF6400 performs these tasks. Even when the viewer is positioned close to the screen, the image stays as sharp as ever. 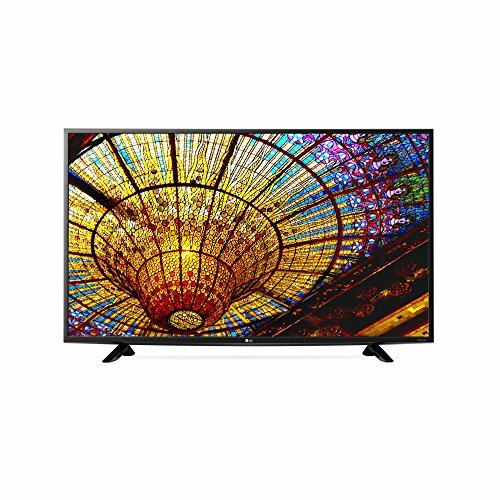 This particular model is equipped with the 4K Upscaler which enhances your viewing experience by rendering content of lower resolution by adding more life, color and quality to it. The quality of the upscaled content however varies based on the original resolution of the source. While it will not be 4k per se, the 4K Upscaler will get it to be as close to 4K as virtually possible. So until we see more 4K content available, this is a great feature to fill the gaps as the difference is definitely noticeable. The 49 inches mean that this can be considered a mid-sized TV. However, considering the size of the standard living room, the 49UF6400 will definitely be large enough to provide an excellent experience. The 49UF6400 certainly has a lot to show for, and one of its strong suits are the viewing angles. Being very wide, the user doesn’t have to worry about an angle from which the TV is being watched granted that the room isn’t tiny and there is enough space for a natural placement of a TV. A fair reason to worry about is the sound in the majority of devices. However, the 49UF6400’s sound has a satisfying quality and it doesn’t require any additional equipment in order to achieve a good experience. Those more demanding users however might consider getting some higher quality speakers as the integrated speakers aren’t designed to provide a movie theatre experience. The WebOS 2.0 is designed to provide the user with the intuitive and easy to use interface and it excels at this. Not only is it easy to use, but it is extremely well layed out, and the user can navigate through the menus with ease. The integrated web browser and the app store are easy to use and they add an extra layer of functionality that, once you blend them into your TV watching routine, you will keep using on daily basis. The launcher allows you to set up your next task without having to move away from the current screen and miss on important content. The HVEC decoder provides a clear and blur-free motion at 60 fps regardless where the content is coming from. As it is expected of a TV in its price range, the LG 49UF6400 packs just the right amount of connection options. The model features two HDMI and one component video ports, one USB port, built-in WiFi and Ethernet connection plus SIMPLINK technology. The amount of USB ports could be a bit higher, sure, but how often do you keep the USB plugged in the TV for all of eternity? On paper it may be a bit disappointing, but in reality you will remove the stick whenever you want to load new content onto it, so a larger amount of ports isn’t all that necessary.